We understand being unable to meet your financial obligations is stressful and worrying. Pay your debt online now with your Visa or MasterCard debit card. You will need your 12 digit reference number found on your Baycorp Notice. Call 0800 800 712 to complete a direct debit from your bank account. It will only take a couple of minutes to set up. Please have your details on hand. Baycorp’s account details are ANZ Bank, 06-0413-0126429-11. Include your 12 digit reference number found on your Baycorp Notice. Call 0800 800 712 to pay by Visa or MasterCard debit card over the phone. Take your Baycorp Notice to any Westpac branch and pay by cash, cheque or EFTPOS. Take your Baycorp Notice to any PostShop and pay by cash, cheque or EFTPOS. Post a cheque or money order, made payable to Baycorp, to Private Bag 92 063, Victoria Street West, Auckland 1010. Payment: Please ensure payment is made for the exact amount due. We do not accept cash in the mail. If the payment methods listed above aren’t suitable or you would like to discuss a payment arrangement please call us on 0800 800 712 or email customerservice@baycorp.co.nz. Contact: If you are calling from overseas, please call +64 (9) 356 2809. Alternatively you can email us on collections.nz@baycorp.co.nz. I am overseas, how can I contact you? What should I do if I am experiencing hardship? If you are unable make payments or are unable keep up your payments due to your personal circumstances (e.g.) illness, injury, loss of employment, the end of a relationship, or other reasonable cause, you may be able to ask us to vary the terms of your agreement. when we receive your application, we may call you to ask you for more information. You may also phone us to discuss on 0800 800 712. Do this as soon as possible. If you do not meet the hardship criteria, we may not have to consider your request. If we agree to your request, we may ask you to enter into a new agreement or we may change the terms of your existing agreement with us to help you meet your obligations. Will my online payment using the Baycorp Customer Payment Portal incur extra debit card charges? When you make a payment to Baycorp using your credit or debit card, Baycorp will not charge you any extra fees or charges. Sorted breaks down the debt process into 3 easy steps - Think, Shrink and Grow. Think is all about planning ahead – it’s a great first step towards getting sorted. This includes a money planner, event planner, net worth calculator, goals worksheet, a quiz and a money personality profiler. Shrink is about getting out of debt as fast as you can. This includes a debt calculator, mortgage repayment calculator, mortgage manager and information on types of loans. Grow is a about how regular saving adds up over time. 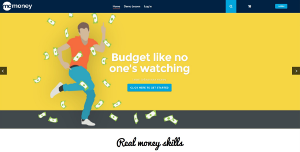 Provides free budgeting advice, which is confidential and non-judgemental. Online advice includes articles, how-to videos, audio, budgeting templates, debt schedules and cashflow forecasts. The website can also help you find face-to-face advice with advisers. 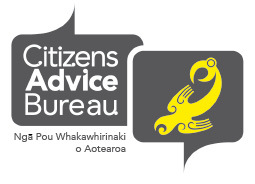 The Citizens Advice Bureau can help you find a budgeting service that suits your situation, and offers a free budget advisory service in some centres. Here at Baycorp we are focused on helping people resolve their debts. As part of this, we work closely with the New Zealand credit bureaus that are responsible for tracking New Zealanders credit ratings. If a debt is not resolved within a minimum of an initial 14 day period, the debt or default is likely to be listed with a Credit Bureau. However once a debt is repaid, Baycorp automatically updates these details with the bureau to show the debt has been paid in full; customers can check their credit record with a bureau at any time and any business can load a debt with a Credit Bureau. If you’d like to know more about your credit rating we suggest you talk directly to a credit bureau where this information is available to you for free. Check out the links below which provide more information about your credit rating and contact details for the right people to talk to. To understand more about your credit file, we suggest you check out Centrix FAQ's or Veda's handy online information booklet. Centrix can provide your credit file free of charge as soon as reasonably practicable, usually within 48 hours of your request (excluding weekends and public holidays). You will need to complete their application form to request access to your credit information held by Centrix. Equifax can also supply you a copy of your credit report for free, this will be supplied within 20 business days. If you require the information more urgently, you can use their My Credit File Express and receive your report within five business days at a cost of $9.95.